Earlier on today George Osborne shuffled around with his little red briefcase in The House of Commons ready to announce the 2016 Budget. It is something the whole country has been dreading to some extent, apart from those who are comfortably rich, but we knew all along that disabled people were set to be one of the worse hit as per usual. This is an issue that affects me directly and whilst I don't usually talk about these kinds of topics on my blog I feel that this is something I cannot sit back and keep quiet about. Fellow blogger and friend Sarah from Sarah in Wonderland feels the same and has EDS, which shares many of the same symptoms as Marfan Syndrome. 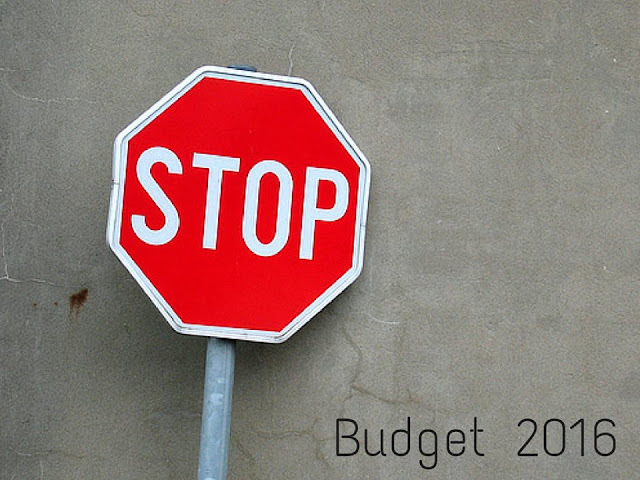 She's talked about some of the extra costs disabled people have over on her blog and has also outlined in more detail exactly how these cuts will affect us and others. One of the biggest decisions that will hit those with disabilities the hardest is the recent cut to ESA. Employment and Support Allowance is there to support those who are unable to work due to long term illness and/or disability, people like me. The government are going to take away £30 a week from those in the work related activity group, a big loss that will push people even further into poverty. There is a petition to reverse these cuts going around at the moment and it would help a lot if you could sign and share it. The government thinks that these cuts will encourage disabled people to go back to work but what they don't understand is that the only reason why we apply for these benefits is because there is no way that we can work at that current time. If I was able to work I'd be out there applying for every job going, it destroys me inside knowing that I cannot be like everyone else. These cuts will not help people, they will only do more damage. If that wasn't already enough very recently more changes to PIP, personal independence payment, have been announced. PIP is still in the process of replacing the old disability benefit DLA, these changes have already left people worse off. 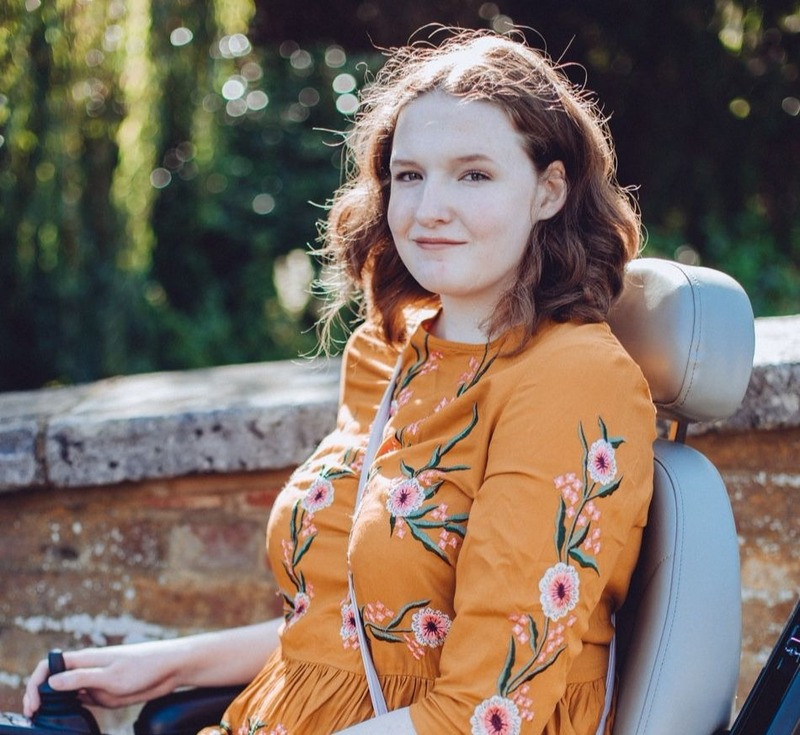 So many people have lost their mobility cars because of harsher assessments, their independence has been taken away and again this is something that has directly affected my family. PIP is there to help cover some of the extra costs that disabled people have and these extra costs are often not small. The proposed changes will affect how people are assessed, PIP is assessed using a points system and you must get a certain amount of points to be entitled to the benefit. Over the past few years the government has already been making it harder and harder for people to tick these boxes and get the support they deserve and these new changes will only make things worse for some of the most vulnerable people in our country. The number of points that can be scored in the assessment for using an aid or appliance have been halved from 2 to 1, making it twice as hard to receive help to do basic things like dress yourself or even to just go to the bathroom. These are basic human rights I'm sure you'll agree. These changes are set to come in as early as January 2017, the stress and worry that those applying for PIP or currently receiving it will go through is unimaginable. We shouldn't have to fight for the support that we are so clearly entitled to. I just can't understand why the government are so set on pushing disabled people further into poverty. The only way we can make any difference is by speaking up about it, signing the petitions and letting them know that this is not okay and we will not stand for it. I am genuinely scared about what the future holds for me, will my support be taken away? Will I lose the little independece I have left? Life with a disability is not a walk in the park, whilst I may try and stay positive on here about it all as much as possible life can be a huge struggle sometimes and this needs to be recognised. I would never ask for help if I didn't need it and people need to start believing that. Don't forget to read Sarah's post to understand why we need this extra support and what damage the cuts will do to people. I'm not convinced that the small percentage of fraud (0.7%) is the reason people are being treated so heinously. It is an ideological assault on the weakest members of society and those least able to fend for themselves in order to keep more money at what they see as the top. I agree with this as well, it's an easy cover up for the bigger problem of lack of equality for disabled people and just because we are easy to pick on because abled bodied people just don't care all that much about what happens to disabled people, although there are some good eggs out there. Brilliant post Shona! There is so much I can rant about this idiot government. I failed my last check because how they mark it (and when I got the report back, it was all lies - the assessor said I could do things when I couldn't etc). What's more frustrating is that anyone who is on the sick are not going to get better with threats of cutting money or pushing into work when there is a reason we can't work. Makes me so angry. The whole tory party are idiots, they claim they have gotten loads of people in to work - yet you watch the news and thousands of jobs are getting lost. Also when I was working we took on people who were part of the job centre schemes, basically people on job seekers but they had to work with us for 6 weeks - 30hrs per week - on their JSA nothing more, they were classed as 'working' and not on unemployment, when after 6 weeks they left us, and they still had to go the job centre at least once a week as well as doing the 30hrs in our place. The government are backwards they way they think. It's like them making a fuss over the sugar in soft drinks, that's not a priority right now - sure I do agree there should be less sugar but with everything else, that's the last thing I care about. I've not attempted to reclaim because I know I'll fail - I can go on my phone and hold a pen for at least a minute, so that means I can work right?! The fact I had to leave my job of 9 years because I literally couldn't do life anymore - 3 years on and it's even worse, but hey I can hold a pen so there is no stopping me right?! I retweeted something before, think I've wrote 'this makes me so mad' it's worth a read and a share too as everyone's experiences need to be shared, so these idiots running the country realise it's real people they're affecting. Thank you! I completely agree and when they talk about the people that are getting into work there is never a mention of any of them being the disabled people they have somehow decided are fit to work! They still need to work on making sure there is no discrimination between able bodied people and disabled people from it comes to the job market as well. The whole benefits system is messed up and the way JSA works has always puzzled me, it doesn't seem to be doing many people any good and those who genuinely want to work don't seem to have any job opportunities! The government are prioritising all the wrong things right now and sweeping problems like the disability benefits under the carpet, ignoring the fact that people have become homeless or even died thanks to them. The whole situation terrifies me. I have OCD, depression and am just in the process of being diagnosed with Aspergers. I am so scared of this system. I hate that I have to use it, but I have no choice. PIP has made it much harder for me to ever plan to go back to work part time. The ESA cuts are just another example of the sheer contempt the Tories have for the young adults and disabled. I have noticed the papers are full of people up in arms about the PIP cuts (Ian Duncan Smith resigning, etc), but the ESA cuts which I think may be largely just as, if not more, damaging, have gone mostly under the radar. The working age disabled are constantly being made to pay for stuff that was never our fault. It really is terrifying! That's the thing, none of us want to be in the position where we have to use these kinds of services and benefits to survive, we don't have a choice. It's great that the PIP cuts aren't going ahead (this time) but like you say disabled people losing £30 a week is really going to hit hard as well.